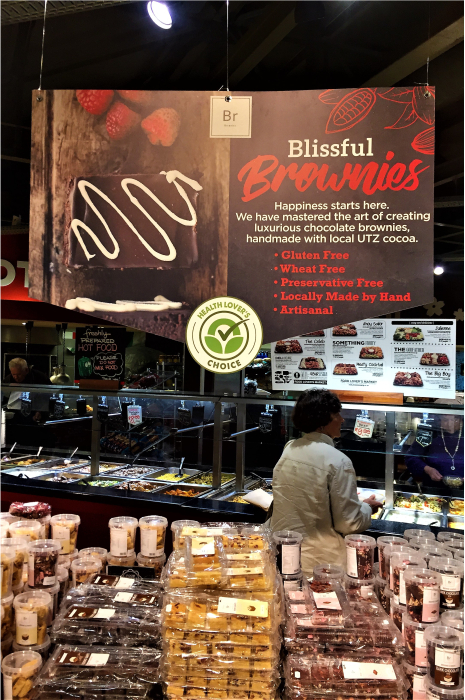 In-store POP Displays, poster boards can be applied direct to shelf ends, or suspended from the ceiling. Various standard, and custom sizes available. Due to the lightweight materials used, they can easily be installed or removed. Poster boards can be printed double, or single sided. Rocketsigns Poster Boards are cost effective, and as a result, perfect for countrywide, in-store point of purchase campaigns. 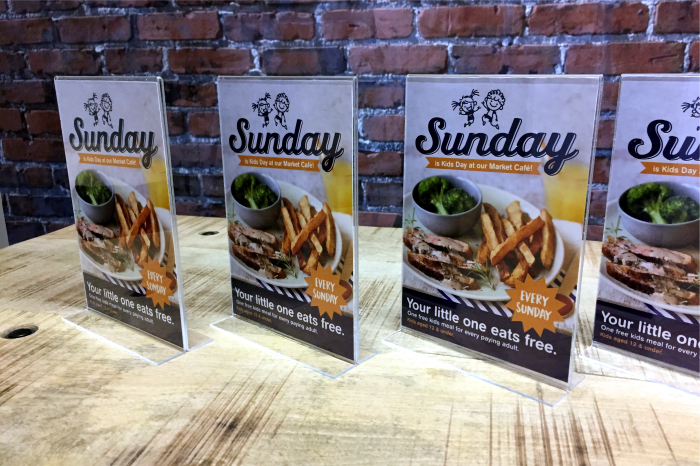 Acrylic Menu Stands – A5. Made from clear acrylic. Available with or without double sided printed insert. Can also be used as a single leaflet display on counters and tables. Custom sizes available – subject to order quantity. In-store promotional Standees are made from a sturdy pvc pipe & connector system. Furthermore they can also be re used for new campaigns – just change the poster board insert. Standees come standard with a double sided print. Most of all, the Frames are available in various different colours and sizes. Shelf Wobblers consist of a tab, a flexible neck, and a message area. They hang from a retail store shelf’s edge and wobble from the movement of air around them. It’s this wobble that catches the eye of shoppers and draws them, first to the message at the bottom of the neck, and then straight to your product. Since 80% of buying decisions are made in store aisles, Shelf Wobblers are one of the most effective, yet affordable, POP Displays available. Bottom line? They work. POP Displays like our Brand spotter can help draw in the shopper’s focus on your brand offering in today’s cluttered product shelves. Our brand spotters come in various shapes and sizes, furthermore we can also custom shape them to suit your brand or message. Easy to install on all kinds of supermarket shelving. Draw attention to your products with our Double sided Shelf wings. Made from lightweight materials, easy to install. Available with a fully adjustable magnetic attachment or our universal shelf clips. They fit onto all types of supermarket shelving. Custom designed POP Displays, our displays boards are made to order. Our Display boards are printed double sided. Need a bigger surface to get your message across ? Our Double sided Hanging banners are available in a range of sizes. Aluminium top bar for easy installation. Perfect for retail environments with large overhead space available. Why not utilize your empty window space ? Our Double sided window talkers attach to the inside of your shopfront window, giving you exposure both inside and outside the store. Attach to window with plastic re-useable suckers. Cost effective for short and medium term campaigns. Large format printing on a variety of media substrates. Sticker Printing – Full Colour Digitally printed Stickers & Labels. Die cut to any custom shape. Fast Turn around – We print straight from file. Fence wraps are widely used for brand exposure at outdoor events and often used as crowd control. The fabric used for the wraps are either mesh PVC or Airtec, both branded using full colour digital printing. Large Format internal product marketing. Event & Conference Way finding.